Listen to or download any of the TubbTalk episodes. Create your own highly profitable archiving-as-a-service platform using MailStore SPE and receive two additional months ‘warm-up’ period without any commitment! Listeners of the Tubbtalk podcast who complete the form below will receive an additional two months ‘warm-up’ period, making a total of 6 months where you can get up and running, test demand, and promote the service to your clients without any commitment or a penny to pay. What is the Service Provider Edition? 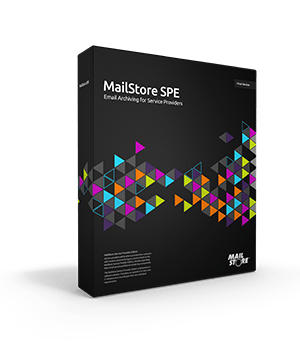 A dedicated build of MailStore’s popular on-premise email archiving software, the Service Provider edition enables you to build a highly profitable, white label, multi-tenant cloud archiving service to solve a number of problems your clients are facing right now. How will this help my clients? Running your own archiving as-a-service platform is far more profitable than referring business to third parties. Plus, as a service that’s inherently ‘sticky’, you can expect to see those recurring profits continue to deliver year after year with minimal ongoing overheads. What’s more, you’re in complete control of your service, which means you can provide faster answers and a better standard of support than if you were at the mercy of another vendor and their helpdesk. Simply leave your details below to receive pricing, a brochure, free 30-day trial, webinar invite and more! Registration will also secure the additional 2-month ‘warm-up’ period offer should you wish to take advantage.